iPhone Apps - Vensi, Inc.
Apple has been the leader of the Smartphone and Tablet since the first iPhone launched and they continue to make iOS updates that will enhance the use of these devices while trying to keep a competitive advantage over Android. 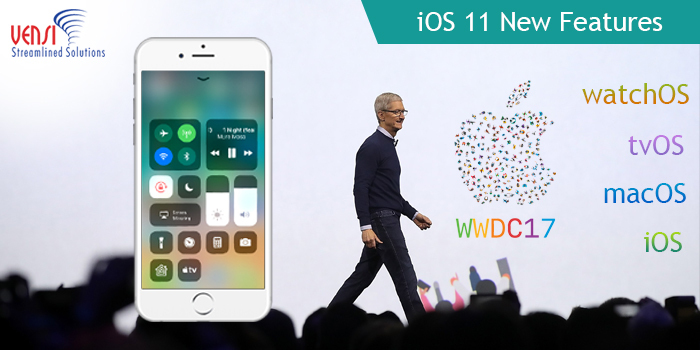 On June 5th at the Worldwide Developers Conference 2017, Tim Cook, Apple’s CEO announced the updates for iOS 11, he said this version takes the best and most advanced operating system and take Apple’s operating system to the next level, bringing in new subtle designs and new looks to some of the standard apps are a part of the updates. Apple is a technology giant for good reason, they have created and maintained an operating system that has taken the world by storm, iPhone users are quick to denigrate other phones as they see Apple products in general as superior to anything currently on the market. This may or may not be true depending on your personal preference, but one thing is for sure Apple has a huge following and a market share to support the hype. These are just a few mentioned updates to the Apple operating system expected in September 2017. These updates will be a huge step for the Apple Smartphone and Tablet platforms claiming to make it the world’s most advanced operating system. There are no questions that Apple has created unique hardware that has changed the lives of many people. Vensi has been developing iOS applications since the beginning for our enterprise customers and we look forward to the new iOS 11 release, hoping these enhancements will provide more features and add more value in our development of iOS applications. If you are looking for an Enterprise Application Development Team Apple’s new OS features in iOS 11, contact us at vensi.com/contact_us for more information. The Internet of Things is a made up of a lot of different components to make things work seamlessly for its users. Software, hardware, and firmware solutions are the things that are making the Internet of Things work seamlessly together. 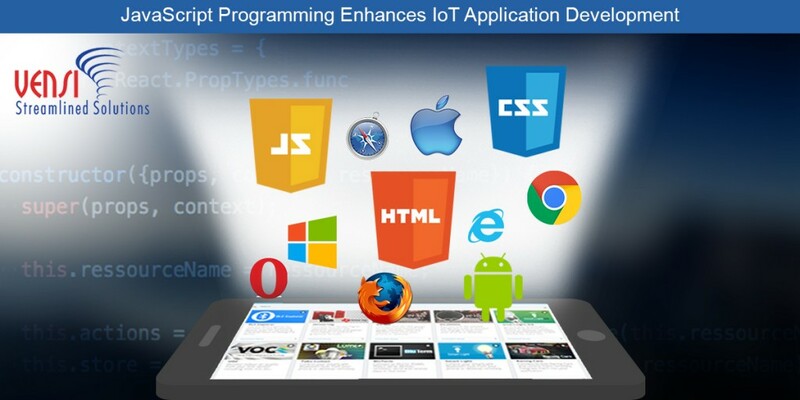 This is a two part blog addressing web & mobile applications for IoT programming languages that are making entry into IoT easier without creating new programming languages specifically for IoT solutions. If you need assistance to develop the best mobile, web or IoT applications contact us at vensi.com/contact_us or visit us at www.vensi.com for more information on our products. 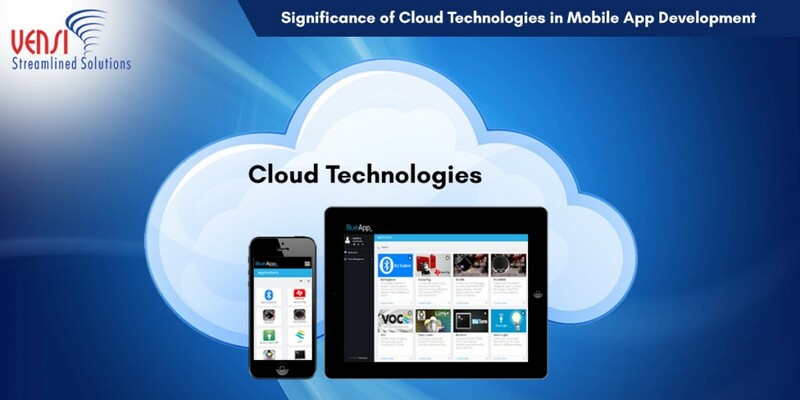 The App development world is taking advantage of cloud technologies to develop mobile applications. With the advancement of recent technologies like Cloud Computing, which is very significant in enabling mobile app development and is playing a major role by helping developers provide a better user experience. Cloud Technologies are being used by developers worldwide, which is adding to the increase in mobile application deployment and an increase in multiple devices deployed. Using HTML5 is giving app developers the ability to provide uninterrupted service levels, providing network reception is good. Cloud Computing technologies are also reducing custom application development cost, by reducing building testing and deployment of these apps, managing servers are one example of a burden to developers that is now reduced with Cloud Computing. Cloud Computing Technologies is an Internet-based computing technology that provides and shares information, files and data to the users in a wide range through online sources. We can access the data anywhere from the world. The Shared information will be secure, reliable and ease to access. Amazon Web Services (AWS) and Microsoft Azure are some of the cloud service providers frequently used by developers for sharing information for Mobile App Development. 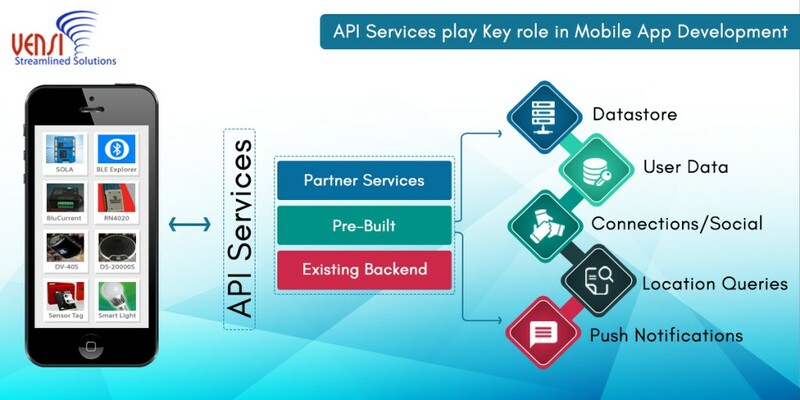 A huge benefit to using cloud technologies for mobile app development is that cloud technologies offer scalability, the server-less architecture of the cloud allows developers to scale up or down as needed. These solutions are used to integrate data analytics and other advanced technologies, all of this is apart of the Internet of Things. Moving the apps and the data to the cloud, that were once stored on the device, reaches to a wider audience because the apps can be run on multiple operating systems, with added functionality.